Sofia Gilchenok appeared on Show 363 on November 17, 2018 in Storrs, Connecticut. Sofia Gilchenok (viola), 16, is a student of Molly Carr and Yi-Fang Huang in the Juilliard School’s Pre-college Division, which she has attended since 2013. Sofia also studies with Hsin-Yun Huang as a first-year scholarship recipient of the Jorgensen Outreach for Youth program. She is the Regional Director of the Central CT branch of the Back to BACH Project, a world-wide initiative to inspire love of classical music in the younger generations. 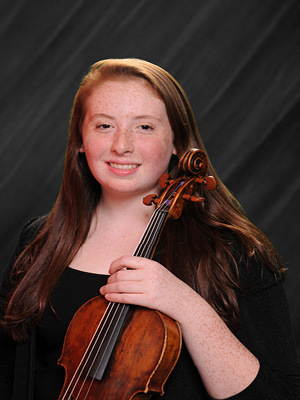 Sofia has performed Paganini’s La Campanella with the Ocala Symphony and has also appeared as a soloist with the Willimantic Symphony. 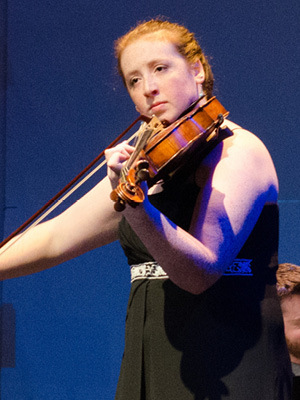 In 2018 Sofia received joint first prize in the Adelphi Chamber Orchestra Concerto Competition, Senior Division, was chosen as the first place strings winner in the Musical Club of Hartford’s High School Competition, and received a top prize in the Washington Heights Chamber Orchestra’s Young Artist Competition. In 2016 she was chosen as the winner of the American Viola Society’s Solo Competition, Junior Division. Sofia is passionate about chamber music and considers her three-year participation in Music@Menlo’s Young Performers Program among her favorite musical experiences. Sofia enjoys designing jewelry, baking, and rollerblading in her free time. Sofia is a Jack Kent Cooke Young Artist.